Under Premier François Legault and several members his Coalition Avenir Quebec, Quebec is again trying to secularise its already secularised society. All faces are bare in Quebec. Muslim women wear a discreet veil. However, if Bill 21 is enacted, they would be required to remove their discreet veil or, perhaps, if not certainly, lose their position. Given its rigidity and Quebec’s preexisting laïcité, Premier Legault’s, Bill 21 is unacceptable. If there existed a genuine threat of terrorism, which there isn’t, a society could forbid the niqāb to make faces visible. It would be a matter of security. But, if enacted, Bill 21 could be interpreted not only as Islamophobia, but as an expression of religious intolerance across-the-board. Some employees wear uniforms in order for the public to recognize that they are policemen, bus drivers, firemen, etc. So did school children when I was a child: navy blue and white. We looked like the young girl depicted by Jean-Paul Lemieux, including the hairdo. He will appeal his sentence, but as things stand, Alexandre Bissonnette, who killed 6 Muslims worshipping at a Quebec City Mosque, will not be eligible for parole for the next 40 years. When Alexandre Bissonnette killed, he was not affiliated with a terrorist group and, to my knowledge, he has not joined such a group since he has been detained. At the time, Quebec Premier Dr Philippe Couillard reassured Quebecers and Canadians. As for my Muslim ladies, their daughters may wish to remove their veil. They may find it cumbersome. However, if their mother was forced to remove her veil or be unemployed, her children may insist on wearing their veil, if they have not left Quebec. If Bill 21 is enacted, Quebec could be divided along religious lines. Under Bills 22, enacted in 1974, and 101 enacted in 1977, Quebec declared itself unilingual and would not allow immigrants to enrol their children in English-language schools. Therefore, Quebec’s best immigrants were North Africans who spoke French fluently. However, to a very large extent, they were Muslims. 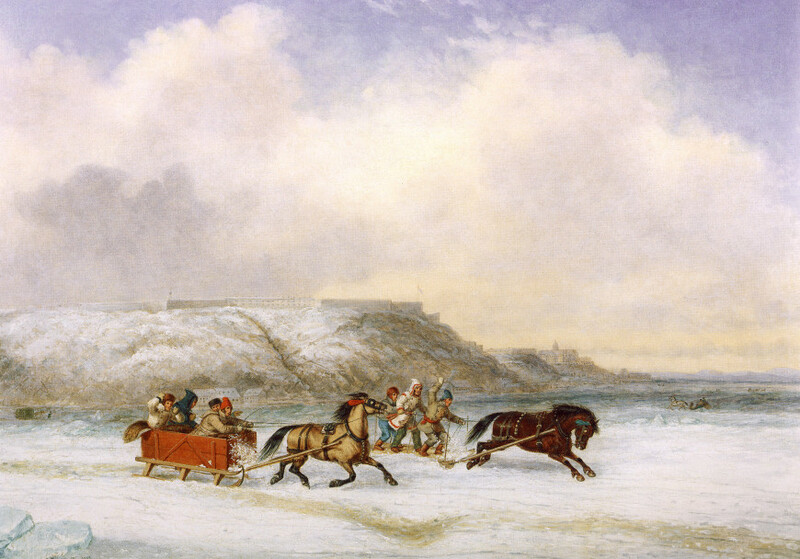 French-speaking Muslim immigrants to Quebec did Quebec a service. Has Quebec forgotten? Bill 21 smacks of religious intolerance. All display of adherence to a religion would be forbidden. Some of us are atheists. Others are not. They believe in God and many find a refuge in spirituality. We are a diverse society and will grow more diverse. I will close by suggesting, boldly, that Bill 21 may not be entirely what it seems. I suspect that it is and isn’t about religious affiliation. Quebec’s two referendums (1980; 1995) have not given the government of Quebec a mandate to negotiate sovereignty. But the province is drifting away using all means it can dig out. For instance, Quebec has yet to sign the Constitution Act of 1982. Could it be that, once again, Quebec wants to differ, Bill in hand … ? If Quebec wants to differ, let it not be at the expense of its law-abiding and French-speaking Muslim women. Immigrants from everywhere, first generation immigrants in particular, mourn their country. Many have lost everything. Let us not think that we have done them a favour. Such an attitude would be insensitive and, in fact, arrogant. We are returning to Molière. But laïcité weighed on my mind. I have friends who are supporters of Bill 21. I hope they will forgive me. They know that Quebec is a lay society. This post may seem somewhat different than the one you have read. The one you read was not the original post. The original post disappeared and returned. I cannot speak of serious current activities because I have not posted an article for two months, which has been my current activity for a few years. I could not write posts and turn this apartment into a home. However, I was not asleep. I waited for the first snowfall, a magical moment, kept an eye on Prince Harry and Meghan Markle, a fairy tale, and bought a Christmas cake, une bûche, a small one, at the Pâtisserie liégeoise and celebrated the twelve days of Christmas. There is no doubt that I wasn’t fit to move. However, I like my new apartment and, although there were too many books to unpack, a surprise awaited me. The books were not entirely mine. Many belonged to my father. In the 1990s, I starting housing his books and used them to write an article published in Francophonies d’Amérique, in 2002. When I moved to Sherbrooke, Québec, I was given more books and bought a bookcase where my father could find all of his books easily. As I removed these books from their boxes, I started browsing and realized that they constituted a particularly rich source of information on French-Canadian nationalism. For instance, my father had in his possession some of the reports presented to the Royal Commission on Bilingualism and Biculturalism (1963-1970), established by Prime Minister Lester B. Pearson PC OM CC OBE (23 April 1897 – 27 December 1972). The Royal Commission is also known as the Laurendeau-Dunton Commission. André Laurendeau was the editor-in-chief of Le Devoir, a fine Quebec newspaper, and Davidson Dunton was President of Carleton University, in Ottawa. The work of the Commission culminated in the Official Languages Act of 1969. Browsing my father’s books helped me remember and understand that Canada did have two founding nations and that these two nations could live side by side, in harmony. Laurendeau and Dunton were a very compatible team. In other words, I understood, better than ever before, that as members of a founding nation, French-speaking Canadians had rights, such as the right to ask to be educated in French outside Quebec, if possible. The key words are founding nations, of which there are only two: the French and the British. Canada also has its First Nations, its aboriginals. The Quebec Act, signed in 1774 under Guy Carleton, 1st Baron Dorchester, put on an equal footing French-speaking and English-speaking British subjects and, as expected, aboriginals and French-speaking fought the British in the American Revolutionary War. The Constitutional Act (1791) divided Canada into Upper Canada and Lower Canada, located closer to the Atlantic. established the constitutional framework for the negotiation of treaties with the Aboriginal inhabitants of large sections of Canada, and it is referenced in section 25 of the Constitution Act, 1982. In the case of French-speaking subjects, the Treaty of Paris 1763, was negotiated so that his “Britannick” majesty would protect his new French-speaking subjects. They should be at liberty to use their language and practice their religion. However, until 1774, contrary to the Aboriginals, French-speaking Canadians had no constitutional framework. The Quebec Act, 1774, would provide fill this gap. French-speaking Canadians would be at liberty to use their language and practice their religion. They could also keep their “thirty acres” (trente arpents) and their Seigneurial System. In 1791, the Constitutional Act separated Upper Canada and Lower Canada. French-speaking subjects lived in Lower Canada, closer to the Atlantic Ocean, and viewed Lower Canada as their land, their patrie. 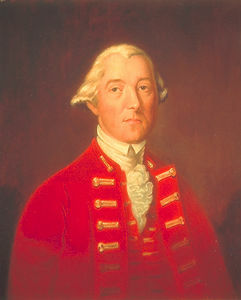 Guy Carleton, 1st Baron Dorchester, was largely responsible for the Quebec Act, which helped to preserve French laws and customs (courtesy Library and Archives Canada/C-2833). In the province of Quebec, French-speaking citizens had the same status as English-speaking Canadian. However, East and West of the province of Quebec, they didn’t. For instance, in 1890, Manitoba abolished French-language schools. The Manitoba Schools Question is my best example, but I could also mention the New Brunswick Schools question. With respect to the establishment of French-language schools outside Quebec, the traditional excuse was that Catholic schools had to be private schools. This matter was a thinly veiled and unsavoury chapter in Canadian history. To be perfectly accurate, as I read my father’s books, it became increasingly clear to me that governments outside Quebec may well have used religion, perhaps unconsciously, to deny French-speaking Canadians living outside Quebec an education in French. Foi et patrie (faith and land or language) were inextricably entwined in the mind of French-speaking Canadians, but they were, nevertheless, a founding nation. As Alexis de Tocqueville stated, the people of New France were not conquered, they were abandoned by France. (See Related Articles, no 1. ), Tocqueville concluded that it was nevertheless best for French-speaking Canadians to believe they had been conquered rather than abandoned by France, their motherland. Tocqueville pointed a guilty finger at Louis XV. But the terms of the Treaty of Paris (1763), did protect England’s newly-acquired territories and its French-speaking subjects, without creating an assembly for French-speaking Canadians. Consequently, French-speaking Canadians’ magna carta was the Quebec Act of 1774 and the Constitutional Act of 1791. But they and the British lived for the most part in Lower Canada where facing the “schools question” was easier to deal with. Each nation had its land. Yet, the schools question, French-language schools that were also Catholic schools was a legitimate request on the part of French-speaking Canadians living outside Quebec. They were Catholics, but first and foremost they were one of the founding nations of an expanding Canada. The French, the voyageurs, in particular, with the help of Amerindians, opened the North-American continent, but the French and Métis were Catholics and Manitoba, a French-language province. One could argue that French-speaking Canadians, living in provinces outside Quebec could have been educated in their mother tongue, had they not insisted their schools also be Catholic schools. Yet, one could also take the view, expressed above, that authorities outside Quebec had an easy, but questionable and somewhat justification to deprive members of a founding nation of their right to have their children educated in the French language, if possible. [a]n Act to Provide that the English Language shall be the Official Language of the Province of Manitoba. What of the two founding nations? Was Quebec to be the only part of Canada where children could be educated in French? The work of the Royal Commission on Bilingualism and Biculturalism resulted in the Official Languages Act, given royal assent on 9 September 1969. Most acts are amended, so there have been a few amendments to the Official Languages Act. In theory, the dispute is over or should be. Canada is officially bilingual. In other words, its official documents appear in the two languages and the federal government’s services are available in both languages. By 1969, public schools were secularized in Quebec. The separation of Church and state has long been accepted. Until the 1960s, the people of Quebec had a French Catholic school board and an English Protestant school board. Problems arose after the Second World War. (See Laïcité, Wikipedia, note 7.) Laïcité would also have benefited Quebec during the years that followed the Second World War. French-speaking immigrants were not necessarily Catholics. Which school were parents and students to choose? The Official Languages Act of 1969, was a great victory for Canadians. (See also the Official Languages Act of 1988, Canadian Encyclopedia). French-speaking Canadians living on the West Coast could listen to Radio-Canada and watch its television programmes in French (Ici Radio-Canada). Radio-Canada is the French-language equivalent of the CBC, the Canadian Broadcasting Corporation. However, despite their rights, it could be said that, in practice, Quebec’s Official Language Act may have harmed the citizens of Quebec and French-speaking Canadians living outside Quebec. In 1974, Quebec declared itself a unilingual province, French, under Premier Robert Bourassa‘s, The Quebec government passed Bill 22. In 1976, Quebec elected its first separatist government under the leadership of René Lévesque, who had founded the Parti québécois. Quebec’s government passed Bill 101, or the Charter of the French language, in 1977, language bills. The face of Quebec had to be French and its immigrants would have to enter French-language schools. In the 1980 referendum, 60% of Quebecers voted not to give the Quebec government the mandate it needed to begin negotiations that could lead to Quebec’ sovereignty. It was a “no” vote. A second referendum was held, in 1995. In 1995, the ‘no’ vote was 50.58% and led to the Clarity Act (2000). The goal of the Parti Québécois was sovereignty, but the goal of the Révolution tranquille was an État providence, or Welfare State, which could not be attained if language laws caused its most affluent citizens to leave Quebec. Moreover, as early as the 1960s, separatists or sovereigntists had a terrorist branch: the Front de Libération du Québec, or FLQ. FLQ militants placed bombs in mailboxes, injuring postal workers, and they kidnapped British diplomat James Cross as well as Quebec’s minister of labour, Pierre Laporte, who was strangled. It could be that James Cross would also have been killed had Prime Minister Pierre Elliott Trudeau not invoked the War Measures Act. To civil libertarians, the War Measures Act seemed excessive, but James Cross was freed and acts of terrorism ended. 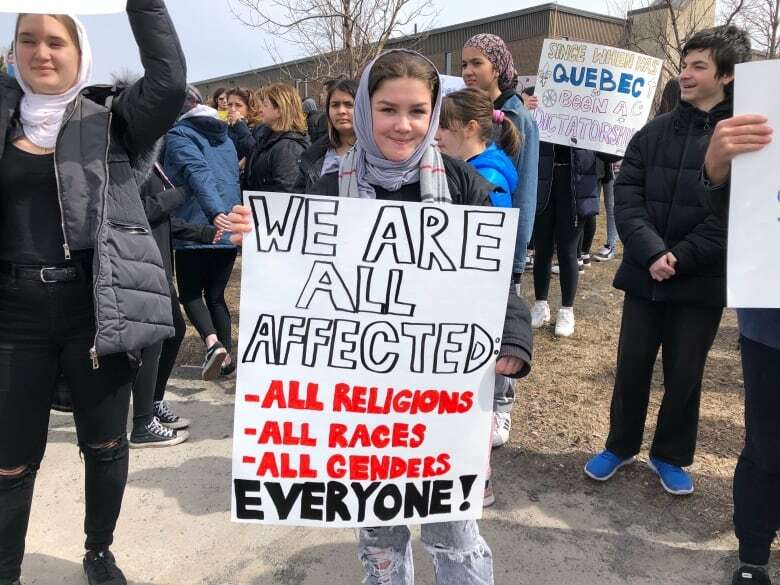 These events are referred to as the October Crisis of 1970 and they would cause many to find Quebec an unsafe environment. That exodus was a loss for Quebec. Those who left were, by and large, affluent taxpayers. How could Quebec become an état providence, a welfare state, if taxes could not absorb the costs? With respect to Bill 22, it may have been passed to counter Pierre Elliott Trudeau multiculturalism, a notion that grew during the Laurendeau-Dunton Commission, Royal Commission on Bilingualism and Biculturalism. I remember clearly that during the Laurendeau-Dunton Commission, many Canadians rejected Bilingualism and Biculturalism, from the point of view of demographics. There were more Germans, Hungarians, Italians, or Ukrainians in their community than French Canadians. Their language should therefore be an official language, which would mean that Canada could now have more than 200 official languages. They also said that New France lost the battle of the Plains of Abraham (13 September 1759) and that the time had come for French-speaking Canadians to be told they lost the battle. Canada is increasingly multicultural and it will continue to welcome immigrants, but its founding nations remain France and Britain to this day. In Quebec, immigrants learn French because French Canadians no longer have very large families. In the rest of Canada, learning French is not necessary. However, even if they were used to keep Quebec a French-language province, its Language Laws caused an exodus. Many argue that the opening of the St-Lawrence Seaway, which allows large ships to reach Toronto, provides a full explanation for this exodus. This explanation is not totally convincing. The October Crisis of 1970 alone would be disturbing and could result in the more affluent taxpayers leaving Quebec, Montreal especially. This matter is problematical. One of the goals, of the Révolution tranquille, other than secularization, laïcité, was the establishment of an État Providence, or Welfare State. Welfare States levy taxes that fund social programmes. Although Quebecers pay income tax to both their provincial and federal governments, I doubt that Quebec can be an état providence. I have not heard Quebecers complain bitterly. Students pay low tuition fees and day care costs are also inexpensive, but Quebec is not a Welfare State. In all likelihood, Language Laws have frightened citizens. It must be very difficult for Quebec to offer medical services that have become extremely expensive. It must also be difficult for the government to pay high salaries. The harsh repression of asbestos miners, in 1949 (see Asbestos miners’ strike, Wikipedia), opened the way for the growth of strong labour unions. Employees would no longer be exploited by employers but a lot of Quebecers are syndicated, including part-time university teachers and university teachers. According to sources outside Quebec, the province’s healthcare laws and practices “do not respect the principles set out in the Canada Health Act,” and amendments. Given that Quebec has not signed the Patriated Constitution of 1982, le repatriement de la Constitution, a Quebec healthcare card is refused by doctors outside Quebec. Hospital fees will be paid, which may not be enough. One could therefore state that Quebec’s healthcare laws and practices “do not respect the principles set out in the Canada Health Act” because it is not universal. Provincial healthcare cards should be valid everywhere in Canada and they should also buy you a bed in a four-bed hospital room and, if necessary, a two-bed hospital room. René Lévesque and Pierre Elliott Trudeau were at loggerheads between 1980 and 1982, the year the Patriated Constitution was signed. In 1980, when the first sovereigntist referendum took place, 60% of Quebecers voted against given the René Lévesque’s Parti Québécois a mandate to renegotiate Quebec’s partnership with Ottawa, the federal government. Would that Quebecers did not have to pay the price! The Quebec government’s refusal to sign the Patriated Constitution did lead to what can be viewed as the erosion of the Canada Health Act. Healthcare in Canada is universal but Quebecers’ Healthcare card is not valid outside Quebec, except in a hospital. I am a Canadian and so are other Quebecers. The Quebec health-care card is universal but only in Quebec. Quebec accepts the Healthcare cards of citizens living outside Quebec. Quebecers are therefore footing the bill. Yes, Quebec authorities should have signed the Patriated Constitution of 1982, because the people of Quebec are still Canadians. Are authorities outside Quebec treating Quebecers as though they were not Canadians. If so governments outside Quebec may be seen as complicit in the erosion of Healthcare in Quebec, a Canadian province. I hope Quebec will sign the sign the Patriated Constitution of 1982 as quickly as possible and that it and other Canadians will not use unfortunate historical events to perpetuate quarrels and, unconsciously, participate and be in fact complicit in the estrangement of Quebec. It may be injudicious on the part of Ottawa not to ensure the welfare of Quebecers. Many Québécois wish to separate. Quebecers are Canadians. I realize that Education and Health are provincial responsibilities, but must a Quebecer who faces a health catastrophe outside Quebec, his province in Canada, pay the cost? I would so like to know why Quebec’s refusal to sign the Patriated Constitution of 1982 has led to the erosion of universal heathcare in Canada. Quebec is a province of Canada. If he knew the consequences of his actions, René Lévesque, the then Premier of Quebec, may well have failed voters by not signing the new Constitution. Or was Pierre Elliott Trudeau forgetting the people, ordinary people? Opening boxes of books was a challenge, but it became informative. However, discarding books had become more complex. My father’s books will be adopted by Sherbrooke’s Historical Society and the University of Sherbrooke. But these libraries need lists and will not pick up the books. That will be my duty. My father’s writings have been collated. He wrote editorials for Le Franc-Contact, a periodical published by the now extinct Conseil de la vie française en Amérique FR. University research centres have replaced le Conseil de la vie française en Amérique. Again, a belated Happy New Year to all of you and apologies for not posting for two months. Combining posting and settling in a new apartment was not possible.